The Big Wobble: Vanuatu launches a Dunkirk-style evacuation on the northern island of Ambae as a flotilla of boats rescues islanders from an erupting volcano. Vanuatu launches a Dunkirk-style evacuation on the northern island of Ambae as a flotilla of boats rescues islanders from an erupting volcano. "It's important to get on top of it right away." "Maybe about every 8 to 10 seconds there was an explosion, throwing lava bombs up maybe 50 to 100 meters above the crater and there's also two small lava flows that are flowing across the island into the lake as well," he said in an interview with Radio NZ published on Sunday. Some islanders are flying out while others have already moved to stay with friends or relatives in the capital, Port Vila. More than 6000 people have gone to emergency shelters on the South Pacific island in preparation for the total evacuation. The volcano is crowned by crater lakes. 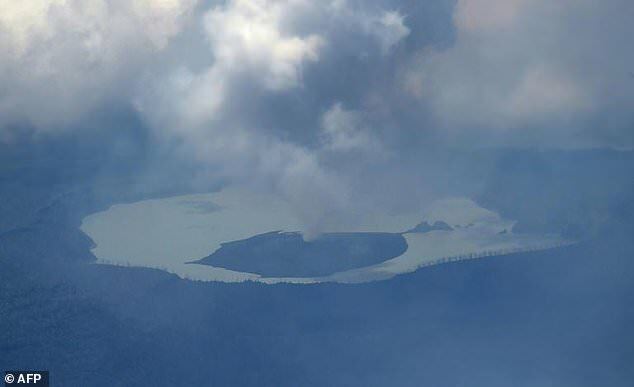 One of them, Lake Voui, is directly on top of the eruption making it dangerously explosive and posing the deadly threat of a lahar: a boiling mud flow down the side of the mountain, Macquarie University vulcanologist Christopher Firth told Reuters by telephone on Saturday.